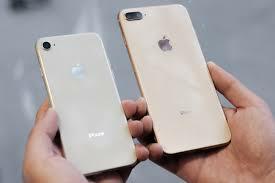 This week, Apple released a new version of it’s operating system for iPhones and iPads, iOS 12 and many of you may not care much about it. I’ve been looking forward to this update because it’s supposed to make older phones run faster and I still use an iPhone 6 Plus. It will be interesting to see how it works. While there are many interesting and innovative new features, I doubt that I will use most of them. We’ll see…. Be sure to create a backup before allowing the iPhone or iPad to install the update (in case something goes wrong). After a week or so you should see a red badge with a “1” appear on the Settings icon. Tap Settings > General > Software Update. 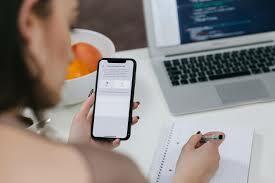 You will need Wi-Fi access and your battery charged above 50 percent or the device will need to be connected to a charger. (Actually it’s a good idea to connect it to a charger during the update process in any case). You can get iOS 12 if your running iOS 11. So, the oldest Apple devices that can support iOS 12 will be the iPhone 5s and the iPad Air. REMEMBER THAT THINGS CAN GO WRONG. CREATE A BACKUP FIRST!!! You can either create a local backup using iTunes, (for the more tech-savvy user who doesn’t want backups on the cloud) or backup to iCloud by going to Settings > iCloud > Backup, and then turning on iCloud Backup (simpler and easier). While iOS 12 doesn’t need as much free space for the installation as earlier versions of iOS, it’s still a good time to get rid of apps that you no longer use — or have never used. If you use iTunes for backup and the data is encrypted, you’ll need that password handy in case something goes wrong. After the upgrade, you’ll need to enter your iCloud password to reconnect to all your data and photos on iCloud. You may also need your passwords for logging in again to some of the apps on your device. Are you excited about any of the new bells and whistles? Do you have any questions? I’d love to know what you think. Post in the comments section below. If you’d like to receive all my Techie Tips and invitations to classes and workshops, sign up below.